Home / #Chronicles / Canada / Chronicles / Chronicles : The case of mom charged for death of her child . Chronicles : The case of mom charged for death of her child . 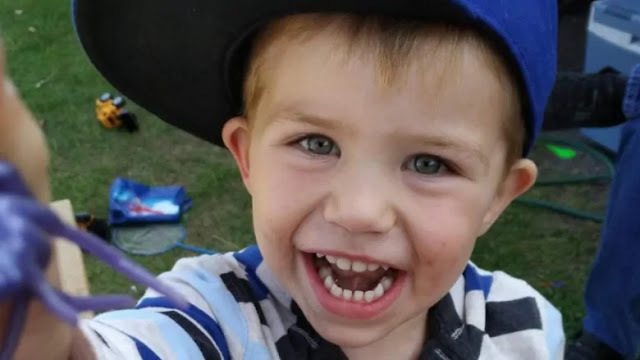 The case of a mother of a three-year-old boy, who was swept away by a fast moving current after the vehicle they were in landed in the Grand River near Orangeville, has been put over until later this month. The 35-year-old woman’s lawyer appeared on her behalf inside an Orangeville courtroom on Tuesday morning. She and her son, Kaden Young, were heading southbound on 10th Line in Amaranth Township in the early morning hours of Feb. 21 when the vehicle failed to stop at a road closure sign, investigators said. The minivan plummeted into the river and police said the boy slipped from his mother’s arms as they tried to escape from the vehicle at the time. A quick current swept the young boy away. After months of searching, the boy’s body was found by a fisherman in the river on April 21. Michelle Hanson is facing charges of criminal negligence causing death, dangerous operation of a vehicle causing death and impaired driving causing death. She is scheduled to appear back in court on Nov. 27.